The 9th Nakshatra, i.e. Ashlesha Nakshatra. Sign and Degree – Ashlesha Nakshatra falls within 16.40 degree of Cancer to 30.00 degree of Cancer. So, Ashlesha Nakshatra also falls completely within Cancer sign. Name and its meaning – Ashlesha's root word is Shlesha which means "More Than Enough". So, Ashlesha would mean "Not More Than Enough". Now, what happens when we have scarcity or dearth of something or when something is not enough? We try to cling to whatever is there. So, Ashlesha's main representation is Clinging, Embracing or Entwining. Representation – An Entwined Snake or Coiled Snake is the main representation/Symbol of Ashlesha Nakshatra. Activation Age - Besides dashas and planetary maturity ages, another way of activating a planet is activation age of nakshatra it is sitting in. Ashlesha Nakshatra activates itself at the ages of 14th, 17th, 27th, 30th, 33rd, 41st and 65th year of age. Deity, Nakshatra Lord & Sign Lord – Main deity of Ashlesha Nakshatra is Serpents/Nagas. Nakshatra Lord is Mercury. Cancer's lord is Moon. Mythological Story – As Ashlesha is so closely connected with Serpents, it is somewhere connected with story of Churning of Ocean by Gods & Demons through the help of the King Serpent Vasuki. At the end of churning of ocean, many things came out from Ocean including poison although Gods and Demons were only looking for Nectar of Immortality. This story has lots of importance in interpretation of this nakshatra. After Ardra, this nakshatra has got really bad rapport regarding its meaning and interpretations. Most of that is true. As Ashlesha means Clinging or Entwining, this nakshatra basically leads to a situation where a person is unable to let go of things and people in his life. Cancer is all about Emotions and Ashlesha is all about Churning, so this combination leads to a situation where a person goes through lots of emotional churning or emotional upheavals in life. 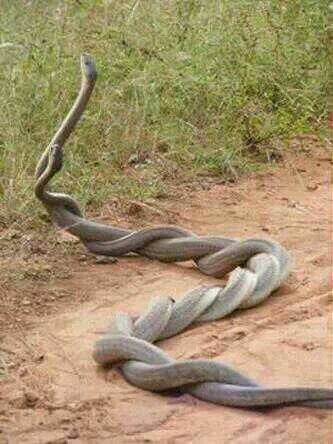 Entwined Snake speaks all about Ashlesha where person just clings on to relations or wealth or things in his life. Whichever planet is in Ashlesha Nakshatra, person will cling on to things or people related with that planet. Like Venus in Ashlesha can make him cling on to relation or wealth. Basically, clinging on to something or someone just shows person's own insecurities. These days it is renamed as love, possessiveness, protective nature etc but in reality, it is insecurity of person to cling on to someone or something as he feels that he is getting some sort of support from that clinging. If that person goes away then what will I do? In relationship, whenever you see spouses trying to be over protective or possessive of each other, it is nothing but their insecurity. They somehow know that their partner can get a better spouse which makes them behave like this. Moon in Ashlesha is the toughest to deal where person's mind is seeking some support to cling on to every time. It also shows a Mother who doesn't feel that her child has grown up and he should be given his space and also his duty and responsibilities. This nakshatra reaches its lowest level when person becomes cunning or clever to get something or someone he is clinging about. So overall, it is all about emotional upheavals and finding attachments to live your life. Not to forget that last couple of degrees of Ashlesha will be in Gandanta Point which can make things more troublesome emotionally. But every negative thing has some positivism hidden in it. As Ashlesha is filled with so much impurities, we can also say that this is the nakshatra which can make us grow, improve or purify like no other nakshatra can. Coiled Snake also represents Kundalini energy. 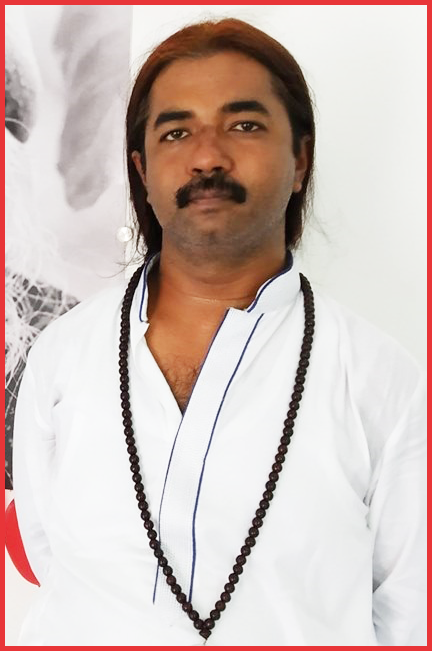 So, this nakshatra can help in activation of Kundalini or Chakras through spiritual practices like Meditation. They go through so much of emotional upheavals in life that in later life they can be best guide or counselors for others. Conclusion – So, this is some basic information and interpretation of Ashlesha Nakshatra. Also, with Ashlesha we come to end of 1st set of 9 nakshatras from Ashwini Nakshatra ruled by Ketu to Ashlesha Nakshatra ruled by Mercury. With next article, we will have another set of 9 nakshatras starting from Magha Nakshatra again ruled by Ketu. @ Tio - Rahu may explode the emotional clinging and Ketu may implode it. What do you think about planets like Rahu and ketu in ashlesha ? @ Ruchi - yup, person will cling to all egoistic desires. What Happens if lagna is 20 degree in cancer Lagna with Surya In ahlesha nakshatra with budh in pushya. Does lagna in ashlesha makes one cling to oneself?